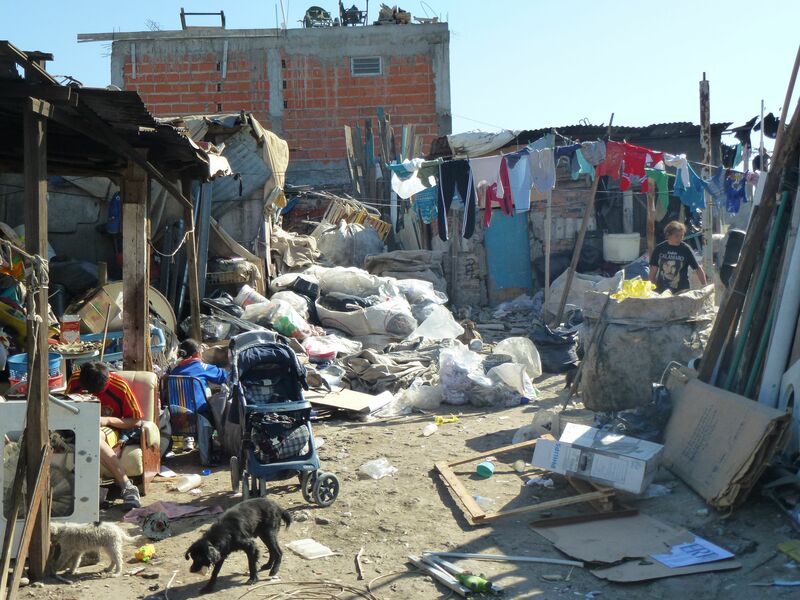 In immaculate contrast to yesterday’s trip to the rarefied air of Villa Ocampo, today I visited a slum (or a Villa Miseria) to the south of the city in the barrio of Barracas 21/24. It is an area without running water or electricity, and with only the most basic provision of what we in the UK would consider to be essential social amenities. I went as a guest of Pablo Braun, a co-founder with Paz Ochoteco of Fundación Temas. This organization, with Paz at the helm, attempts to provide at least some encouragement to the children and young adults of the barrio, help in the provision of schooling, a kitchen with free meals, and a boxing club. The idea for the boxing club was inspired by the work of the sociologist Loïc Wacquant who wrote about a similar club in Chicago (and no doubt influenced the makers of the HBO series The Wire). As Pablo explained to me on the drive back into town, Wacqaunt argued that the discipline of boxing, within a defined context where the rules were clear, channeled a good deal of the natural aggression of deprived and ghettoized kids, and provided a focus away from the easy distractions of drugs and crime. There is very little infant schooling for the children here because the facilities do not exist. Forty per cent of the children in this barrio receive no pre-junior education, and a half of them never reach secondary school. I didn’t want to take pictures inside the boxing club but the images from the nearby streets give some idea of the kind of place it is. 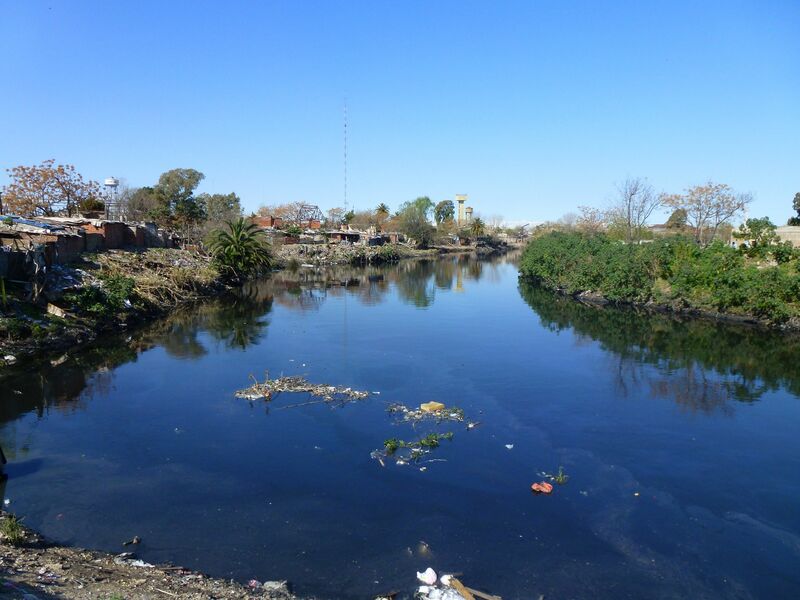 The Riachuelo that flows – no, flow is not the word for the sluggish progress of this viscous and putrid effluvia towards the River Plate and the sea – is supposedly the most polluted river in the western hemisphere. 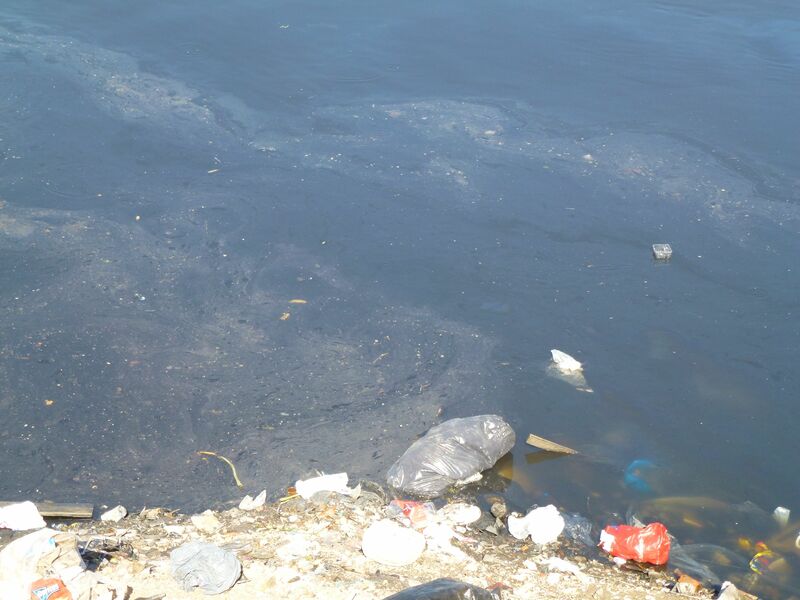 Upstream, a leather factory producing luxury goods spews out contaminant chemicals. 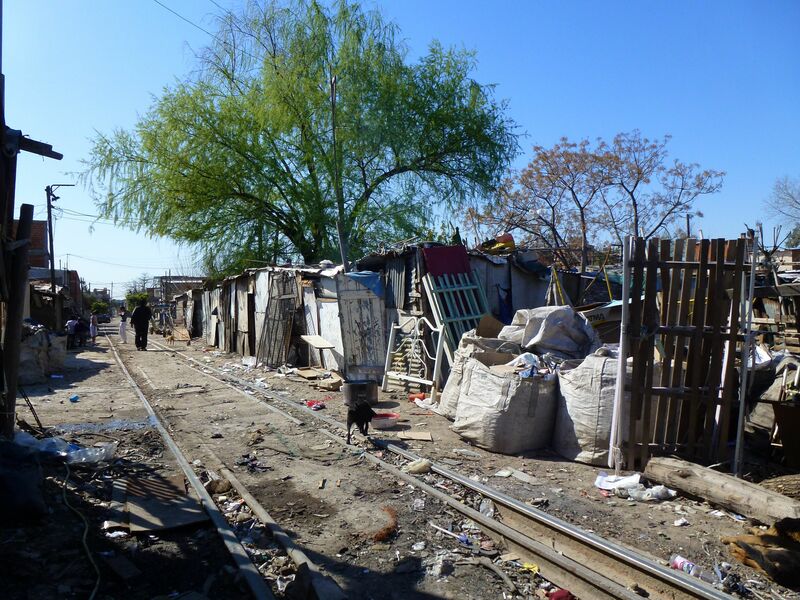 A railway line runs between the shacks. Rio Riachuelo . 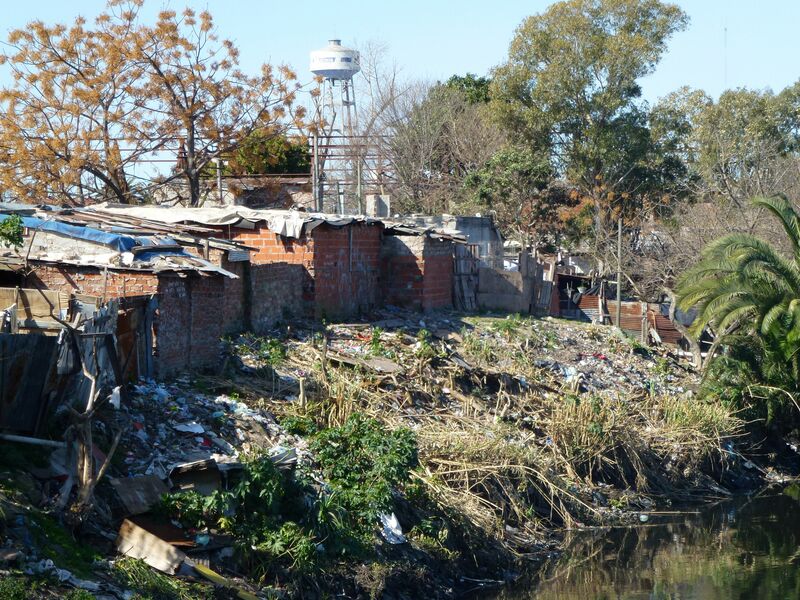 . .
Diego Maradona grew up in a place like this, so you can appreciate why the people love him. He is one of theirs. 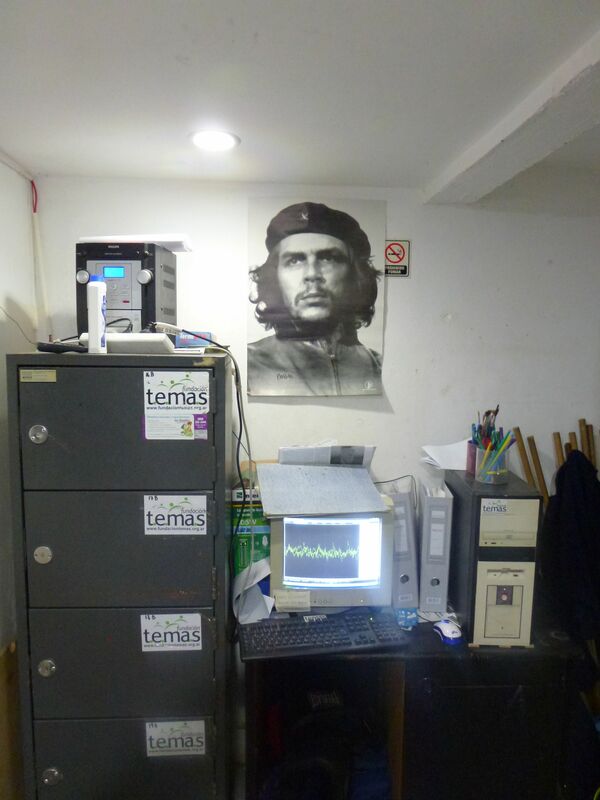 And in the tiny office of Fundación Temas beside the gym where the boys and girls were boxing – up to a half of the members of the club are girls – was a poster of Che Guevara: the only time I have seen this poster in a place where it makes any sense. When they asked the kids in this barrio where they would like to go one day, or what they would be interested to find out about, they replied ‘Buenos Aires’. They do not consider themselves a part of the city to which they allegedly belong: it is a foreign world to them and most of the kids have never been there, even though it is only a few miles away. I have promised to write something for the festival about my impressions of Barracas 21/24 but will find it very hard. Apart from the fact that such places exist – itself a crime against humanity – I have difficulty comprehending the extent of the poverty and deprivation in a place like this, and the effect it must have on a young person as he or she grows up and sees no way out other than through crime or drugs. Western Europe and North America have a problem of obesity among the children of the socially disadvantaged. Here they are lucky to get enough to eat. But strangely the two things – hunger and the excessive consumption of fats and sugars – are not so far removed from one another. Paz tells me that problems of obesity are already on the rise among the poor. Unhappily, capitalism knows this, and the multinational food corporations and outlets such as McDonalds only profit from it. Yes, it is very sad to see and I find it hard to understand how the divergences of wealth in any country (not just Argentina) can possibly be justified. The ‘neo-liberal’ tendency now fashionable (i.e. every person for him/her self) makes a mockery of any sense of common humanity. I actually feel ashamed that these places exist, even though I did not create them.